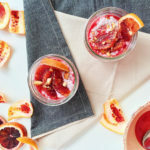 Roasted Citrus and Coconut Chia Pudding Parfaits are delicious, easy, and packed with protein and fiber. 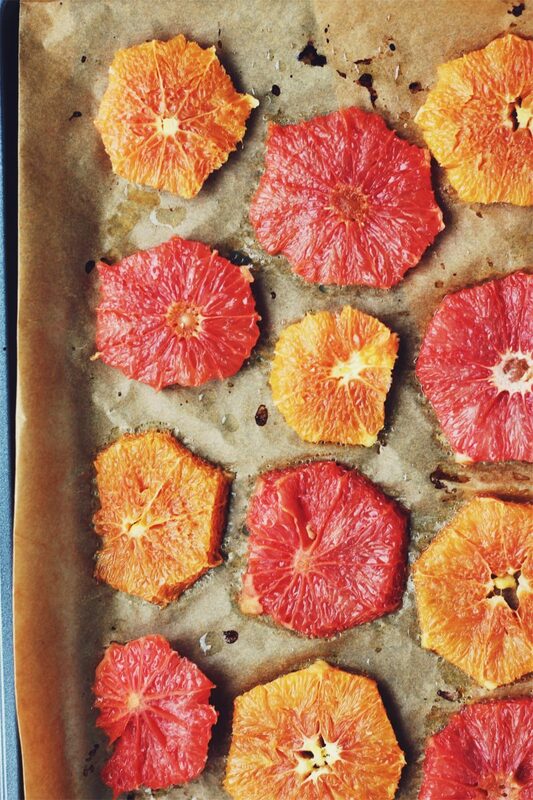 Oven-roasted citrus adds a lovely depth of flavor. So, remember when I said one of my New Year resolutions was to eat breakfast more? I’ve actually been doing pretty good with that. I’ve found that the absolute requirement though is to keep my breakfast as simple as possible. Make-ahead healthy breakfast burritos I can freeze. Overnight oats. 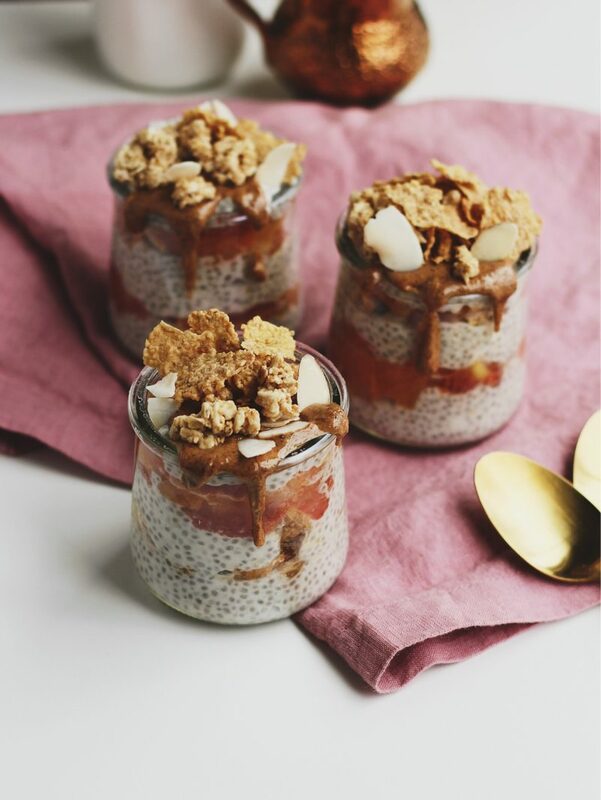 And these Roasted Citrus and Coconut Chia Pudding Parfaits. Although these may sound a tad bit complicated, they’re easy as can be. Promise. 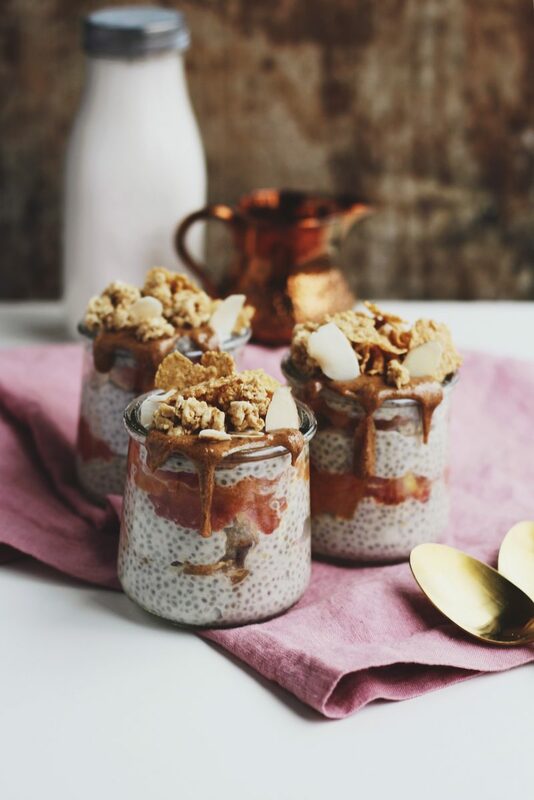 The chia pudding takes a minute to put together and becomes creamy and so delicious overnight in the fridge. Citrus takes just 10 minutes to roast in the oven, but this greatly deepens their flavors and adds something extra special. 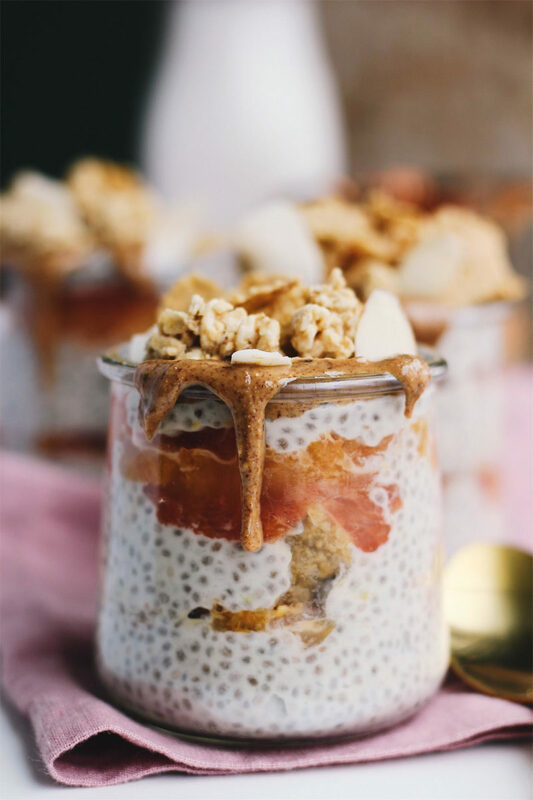 These Coconut Chia Pudding Parfaits take on three well-balanced flavors, all of which compliment each other: citrus (roasted Cara Cara oranges and grapefruit, lemon zest, fresh orange juice), almonds (almond butter, crunchy sliced almonds), coconut (coconut flakes and coconut milk). 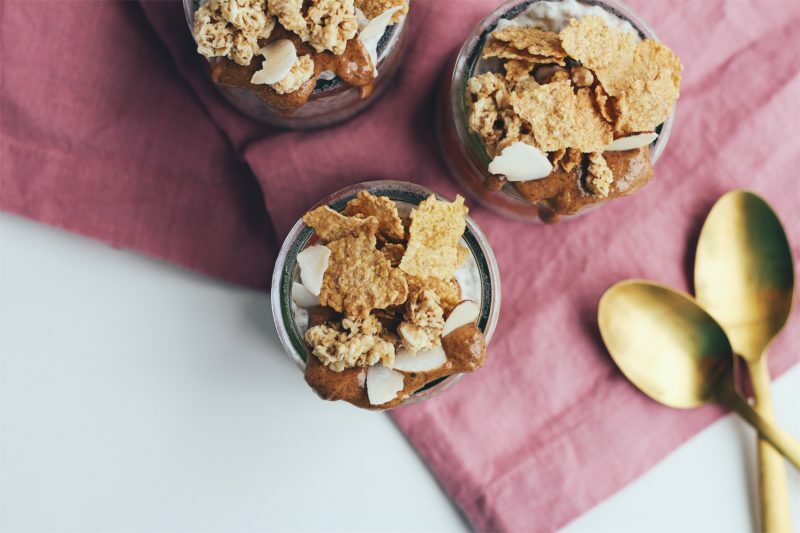 I don’t know about you, but I absolutely need to have crunch and texture in my yogurt, chia pudding, or parfaits. 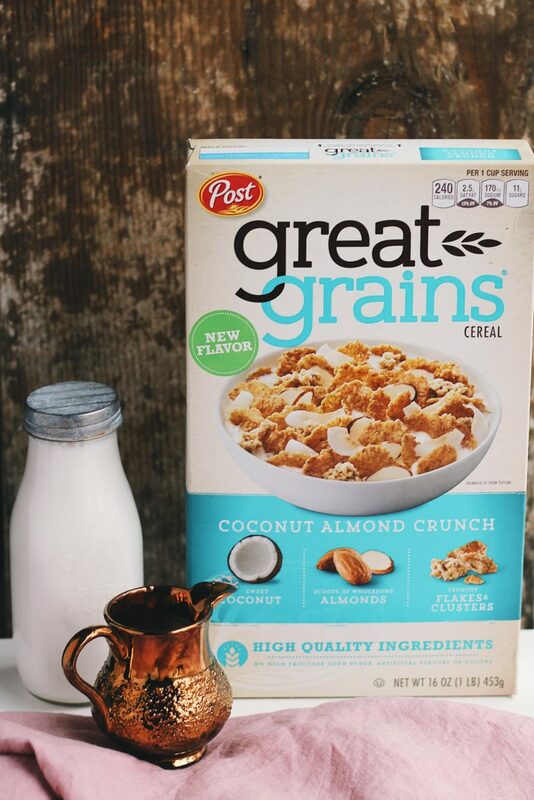 Adding Great Grains Coconut Almond Crunch does just that. I love this cereal because it’s nutty and delicious. 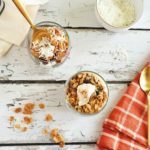 It offers great texture to these parfaits with large, crunchy granola clusters, coconut flakes, and toasted almonds. 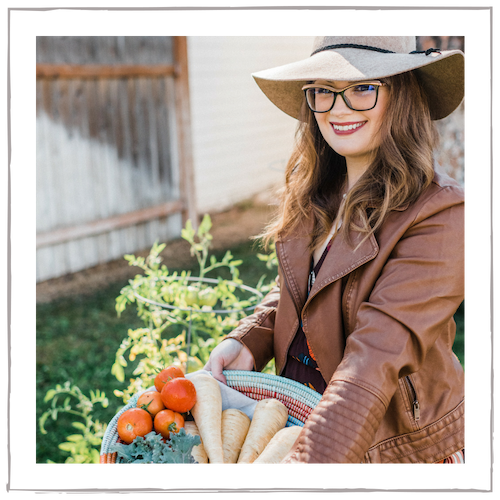 It works wonderfully with my New Year resolutions by providing 36g of whole grains per serving, 21% of my daily recommended fiber, and 13 essential vitamins and minerals. 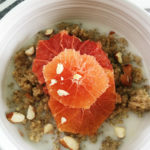 I hope you enjoy these Roasted Citrus and Coconut Chia Pudding Parfaits! What is your favorite healthy and balanced breakfast to start your day? Let us know in the comments below. 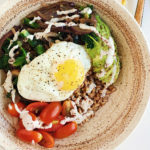 For more inspiration and recipes, visit Great Grains, follow Great Grains on Pinterest, and grab a $1 off Ibotta coupon! Make the Coconut Chia Pudding. 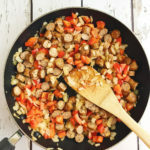 Combine all of the ingredients together and stir very well. Cover and let sit in the refrigerator overnight. Roast the Citrus. Preheat the oven to 400 degrees. With a sharp knife, peel the skin and outer pith of the oranges and grapefruit. Then, slice into rounds and arrange on a parchment-lined baking sheet. Drizzle with coconut oil and a pinch of salt and cinnamon. Roast for 10-12 minutes. Assemble the Parfaits. 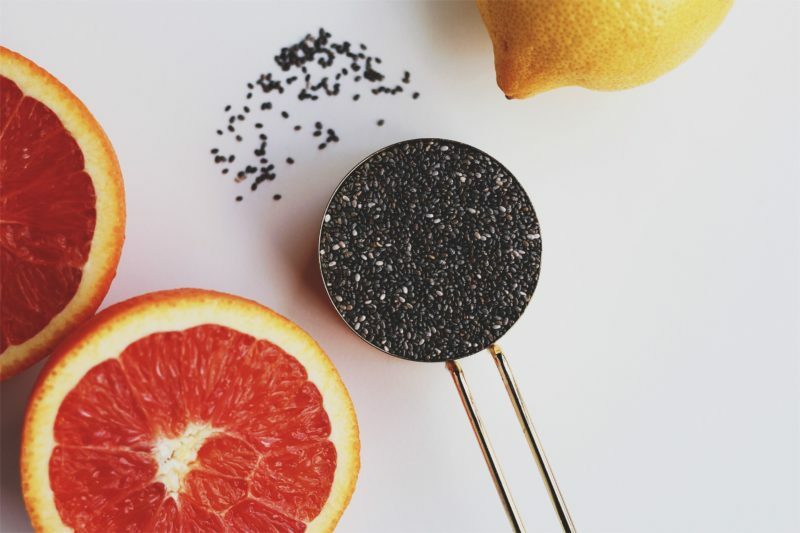 Layer each parfait glass with the Coconut Chia Pudding, roasted citrus, almond butter, and Great Grains Coconut Almond Crunch. Serve immediately, or keep refrigerated (without the granola) and top with the Coconut Almond Crunch before eating. Enjoy! I also have to give a five star rating to your photography – these photos are awesome! Having the food be delicious too certainly doesn’t hurt haha. 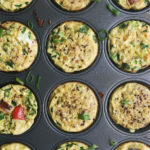 It’s great for breakfast and really gives you a feeling of being full which is great and doesn’t leave you hungry. Your puddings would make any non-breakfast person a breakfast fan!! 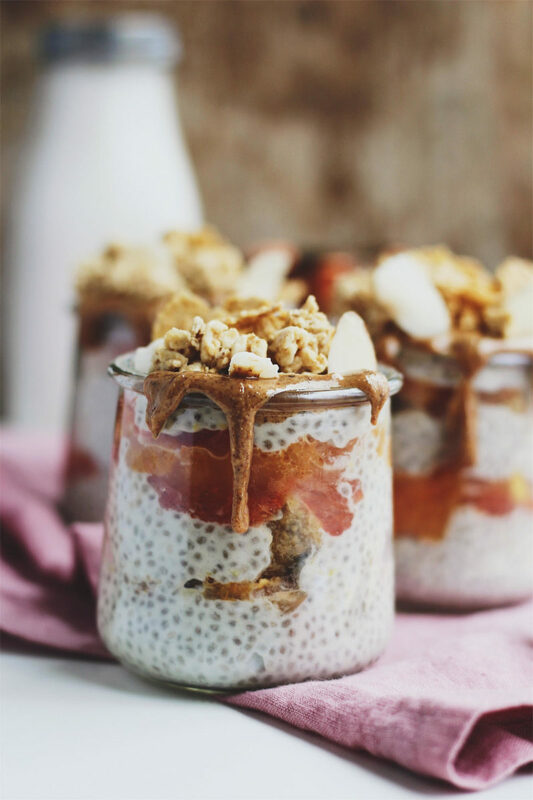 Just look at these perfect little pots and coconut combined with chia does sound amazing! What a beautiful recipe! It almost looks too good to eat! I bet that roasted fruit tastes divine! I love dessert recipes that are also packed full of nutrients, this one is definitely a winner. Wow this looks and sounds delicious! Can’t wait to try it! I love making parfaits. 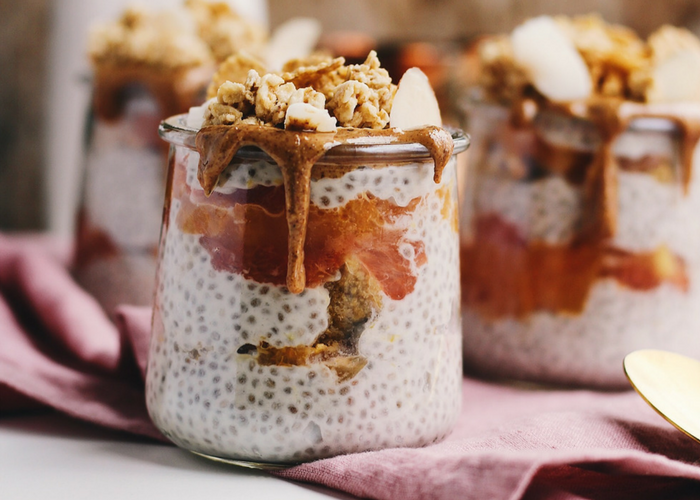 I’ve never tried chia before, but this looks absolutely amazing! This sounds amazing and delicious! My Mom will love this recipe as well. 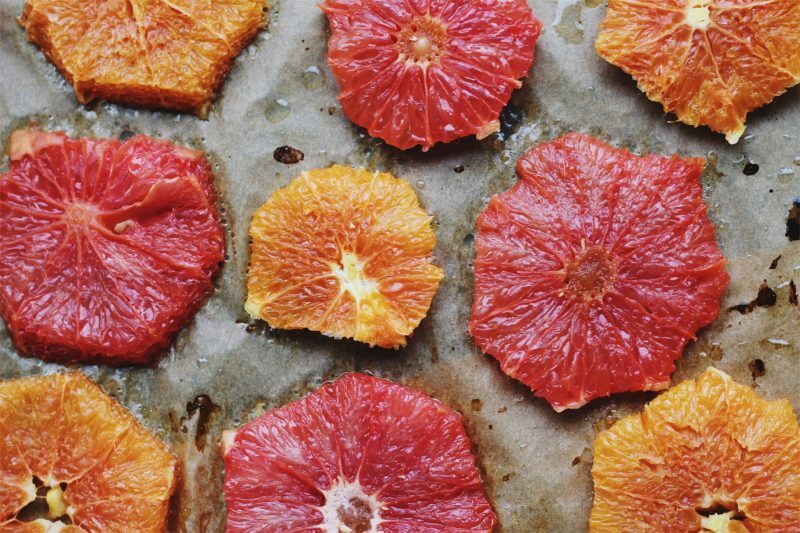 Roasted citrus sounds so amazing! 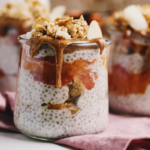 These parfaits look so delicious, I love chia pudding! These sound so different and yet I can only imagine how great they taste. I like citrus as well as coconut so they would be well received in our house. I am sure I could get my husband to try them. 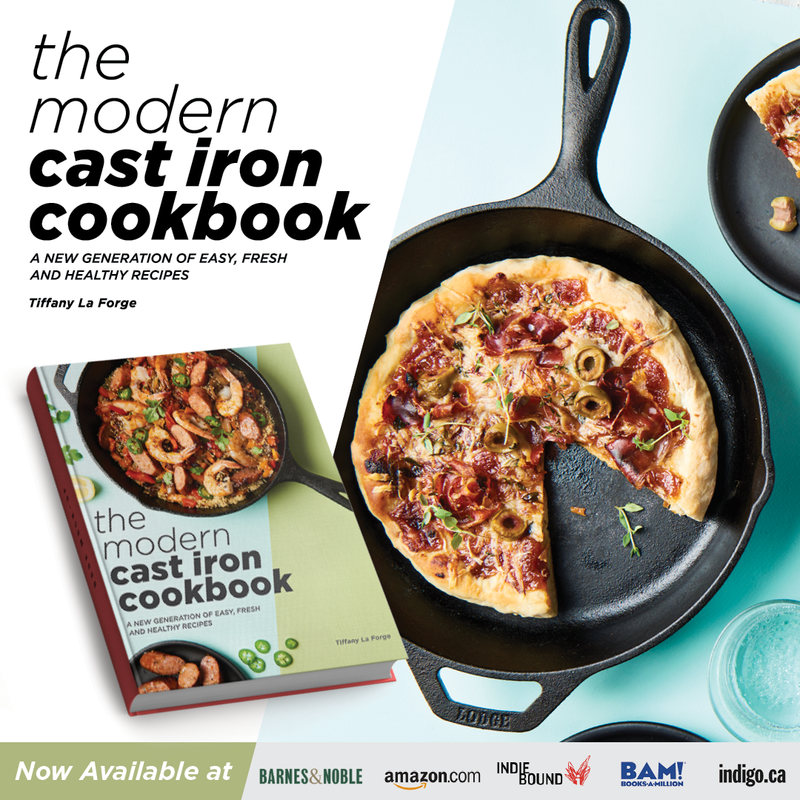 Thank you for a new recipe that we can try.